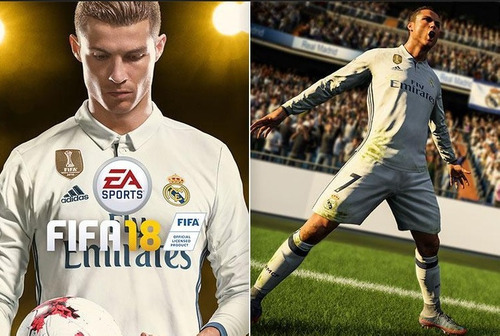 All the FIFA fans are not only always crazy about the particular game, but they also demand newer and better things in every upcoming version. FIFA 18 is no exception. There are already many rumors about the game in the market, and as the release time is approaching nearer, the expectations from the fans are also going higher. FIFA 17 was already a hit, and if EA Sports could manage to make a game like FIFA 18 (http://fifa18gamer.com) it would be a grand hit for sure. But still, people have more expectations from the game. We have compiled a list of playing features, which EA Sports could do better in their upcoming FIFA 18. In the all previous FIFAs so far, in Offside cases, until the referee raises the flag, one player would run and chase the ball. But in reality, this does not always happen. If it is a big offside and a player realizes that he is already in the offside position, he wouldn’t chase the ball, and the game will continue. We wish that this feature to be there in FIFA 18 by using any AI technologies. There are not many options in creating customized badges and kits for your own team right now. But FIFA 18 could incorporate it in their new version. Imagine you have your own customized choice of songs or chants, and while tour team is winning, the whole crowd is singing that particular chant in unison. So far, FIFA would not give you an option for loaning your players to any other team, whereas in reality, it does exist. Suppose a team needs some extra coins, it can loan its players for earing that extra coins. In FIFA 17, we have seen that players get in the way with their own team mates for too many times. This is not a realistic approach. FIFA should make sure that this does not happen from this version onwards. We have seen that the positions of the players are fixed in FIFA 17. For example, Cristiano Ronaldo is placed only as a Left Winger. But in a real scenario, he can also play as a striker. So that flexibility should be present in FIFA 18. Right now we feel that the rewards of winning matches or any title is not satisfactory for players. We believe more coins should be rewarded after the victory. We also feel that the various packs like Premium Gold pack etc. are too costly now. FIFA 18 should decrease the overall prices of the packs. Legends are only available right now on Xbox thanks to the deal between Microsoft and EA Sports. But there are millions of PS4 players out there who want to have access to Legends on their PS4 console. We urge that FIFA 18 bring Legends in PS4 also.